Mah Tovu, O Ha Lecha Yacov. “How lovely are your tents, Oh Jacob.” Mah Tovu Sabra. Our tent is indeed lovely. Thousands of campers and staff since 1970 have called the Sabra tent home. Why? Because Sabra is a place where we feel loved and supported – a place where children can be free to be. As the Sabra Director, my intention is that our tent will hold a kind community. I see this kindness in our tents every summer. I see ski staff help a camper get up on skis for the first time by floating in the water with him as he holds the rope. I see a staff member give a camper her sweatshirt even though she is cold too. I see campers visit sick friends in the Health Center. I see 400 young people dancing, laughing, just letting go and letting the joy in while they dance their way through Shabbat. Campers build emotional resiliency through group living and solving problems independently and negotiating social relationships in real time. They will also come home with new physical skills: wakeboarding, climbing, candle making, and archery, just to name a few. I cannot tell you how many parents have said to me, “My child came home with such a sense of independence.” I know they also come home with a new sense of Jewish identity, an awareness of the power of their own kindness and zillions of stories. Mah Tovu Sabra. Our tent is indeed lovely. My personal Sabra journey began in 1971 when I stepped off the bus and became a lifelong Sabra person. I can still sing those songs, cheer those cheers, and remember my nights with friends, giggling in my cabin. My Sabra summers led me into Jewish communal work, and I have worked with Jewish youth since 1987. Now, I have my dream job – Director of Camp Sabra. As Director, I want your child to experience the magic of Sabra, the beauty of our Jewish community, the lifelong commitment to a Jewish journey, just as I did so many years ago. Thank you for choosing Camp Sabra for your family, thank you for trusting me with your precious child. It will be joyous. 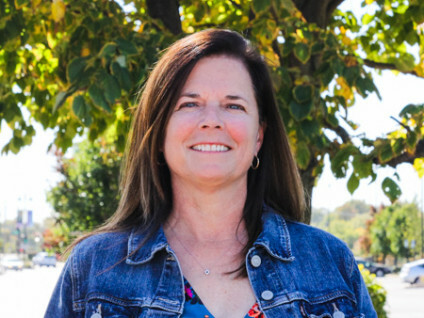 Camp Sabra’s Camp Director, Terri Grossman, brings more than 20 years of Camp Sabra experience to camp – serving as Camp Director since 2008. Terri began her Camp Sabra experience as a camper in 1971. Her love of Camp Sabra kept her with us as she transitioned into Camp Sabra staff, and then continued her journey as the Assistant Director, the Director of BBYO, and, then, her dream job as Camp Sabra Director. This love for Camp Sabra runs in her family – Terri’s daughter grew up as a Camp Sabra camper and is now a staff member. Terri finds strength in her Jewish identity. 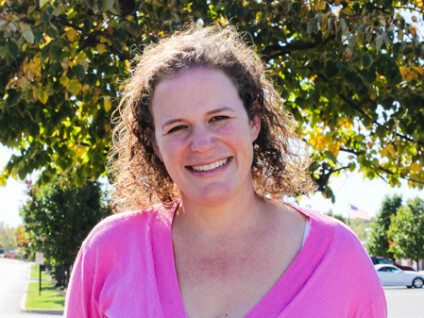 She lived in Israel for two years prior to becoming the Assistant Director at Camp Sabra. She loves being at Camp Sabra, because each summer she gets to play a role in creating an atmosphere for joyous Judaism. Her favorite part of camp is seeing the campers respond to the camp’s safe environment and kind community. Seeing a camper open up and reveal his or her true self is the most rewarding thing a Camp Director can receive. One of Terri’s camp traditions is to read the Harry Potter book series each summer as she goes to sleep. By her count, she has read the series 12 times. She’s already looking forward to her thirteenth time in 2017! Ben Panet, Camp Sabra’s Assistant Director, loves the outdoors. Originally from Canada, Ben has been attending overnight camps since he was 10. Since then, he has found ways to keep himself outside. Ben majored in Outdoor Recreation at Brock University in Canada (near Niagara Falls), and he has been a ski instructor and worked on a cruise ship as a youth counselor. 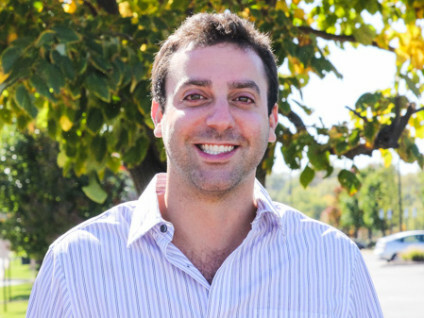 He originally joined the J community as the BBYO Director before joining the Camp Sabra family, and he has now spent more than 10 summers at camp. He loves Camp Sabra because the Jewish community is very strong and welcoming to all who attend. This is especially apparent to him in the Dining Hall when he sees the older kids take the time and effort to build relationships with the youngest campers, such as putting them on their shoulders and singing during song session. You’ll most likely find Ben outside at Camp Sabra. He loves to ride his bike around camp and visit each activity area every day. This is how Assistant Camp Director Kim Holtzman Sloan felt about coming back to Camp Sabra in 2013. Kim spent much of her early life as a part of the Camp Sabra Family. She became a camper in 1986, transitioned to staff in 1990 and progressed to being a unit head by 1995. She knows Camp Sabra backward and forward – she has served as everything from a counselor-in-training to a nanny to a unit head to, now, the Assistant Camp Director. In fact, when Kim was a Unit Head, Terri was her assistant director. Their bond over Camp Sabra goes back more than 20 years! Kim left Camp Sabra briefly to move to Los Angeles where she was a casting director who put contestants on game shows. When she and her family returned to St. Louis in 2013, the J was the first place she looked for work. As soon as she saw that the Assistant Director Position was available, she knew she had found the perfect position. She loves her job. Her favorite part is seeing the new generations of campers attending Camp Sabra – the parents of many she knows from her own days as a camper. She looks forward to returning next year and meeting the next generation of Sabra families.